Hold on to your Easter Bonnets because it’s time for an egg-stra special Easter promotion! The Egghunt Bingo Giveaway on from from April 15th – 21st. 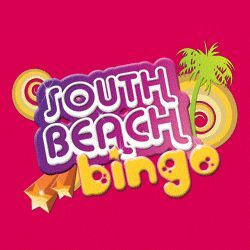 Be sure to join South Beach Bingo to collect Easter eggs in return for cash! Simply deposit $25 and bag as many eggs as you can by hitting bingo on B, I, N, G, and O! You’ll get 50 eggs per set of 5 different letters! Once you reach 100 eggs, send the winning game numbers in an email to Promotions and they will send you $100 cash! Players may only claim the prize once for this special promotion and can claim no later than April 21st, so don’t miss out on this Easter egg-stravaganza! Hop to the prizes in this Easter special, Egghunt Giveaway and make this a holiday to remember! Spring is here and Canadian Dollar Bingo is celebrating with OVER $100,000 CASH up for grabs and rewarding promotions with lots of wonderful blooming bonuses during the April Spring Bingo Fest. Step into Spring! Join in the main room from April 1st and until April 30th to play FOUR (4) weekly spelling Bee rounds during the contest periods. Be on the lookout and bingo on the ‘Spelling Bee’ contest patterns to be one of the first FIVE roomies to spell the words “BLOOMING JACKPOTS” correctly during the contest period above to win EXTRA WEEKLY PRIZES. All games are holding a HUGE buy-in % in return that will grow the more players join in the games, and you will have more chances to win lots of green cash with a fabulous Buy 30 Get 5 Free offer on all cards. 4th and 5th place: 20 Free spins on Mobilots machine of your choice. In addition to the weekly contests, CDB will also be offering a Buzz-worthy $1,000 CASH in Grand prizes as follows: 1st Place $500 CASH, 2nd Place $300 CASH, 3rd Place $200 CASH. Every contest pattern won during the month of April will automatically be entered into our Grand Prizes Draw to be held on May 6th, 2019. The more contest pattern you win the more entries you earn for our Grand Prizes. Since this is a random draw, all roomies with at least one entry qualify to be a Grand Prize Winner. The jackpots are in full bloom at Canadiandollarbingo.com! The busy bees will keep you up-to-date with all the latest news on their Facebook page! No need to have a “green thumb” to take part in this promotion, come and let spring give you a warm welcome with lots of fun, BBs and cash! Bingo Australia has hidden Over $175,000 up for grabs and $35,000 in egg-citing GUARANTEED CASH JACKPOTS in their Eggsclusive Bingo Room. Deposit, play, and win, it’s that easy. Join in the fun every Saturday to Monday at 2pm AEDT for a whole hour filled with incredible bingo fun and lots of cash to be won. Kick start the night with a $100BBS Golden Egg(s) FREEBIE GAME to give everyone in the room extra good luck as you play the $10,000, $5,000 and $2,500 Coveralls, followed by egg-citing themed $250-$500 multipart GUARANTEED SEED games with an additional buy-in % in return that will make jackpots grow. The more Bingo Australia players join in the hunt, the higher the jackpots – No Jackpot Cap. (60 Cards MAX). All games play for a low cost of $0.50-$1 a card and a Buy 30 get 5 Free offer that guarantees you will have winning good time. Pre-buy your cards or join the room at least 5 minutes before the event starts & hop away a winner! There’s More. Everyone with a deposit made in the last 7 days will be entered to WIN EGG-XTRA PRIZES in our new WTG Wednesday Giveaways. (Every bingo card Purchase = 1 Raffle Ticket for the Following Wed Giveaway). This April they are giving you the chance to fill your Easter basket with lots of cash. Come search high and low for the hidden jackpots and see if you can find them all! Buy tickets with BONUS money as well as cash and winnings. THE EASTER HUNT IS ON! – DEPOSIT to unlock this room. Is it your lucky month? Find out as Bingo Hall presents a super promo, Bingo on I17! Join in the fun from March 1st to 31st, and strike it lucky by hitting ball I17 in the Dollar, Quarter and Taboo rooms, where ball I17 comes with a $17 bonus prize, or play in the Supernova, Fusion or Million Dollar Party rooms and hit ball I17 to win a $27 bonus prize! Bonuses will be credited on the spot provided that the player claims it in one of our online bingo chat rooms and has deposited a minimum $25 within the past 5 days! Have you got the magic touch this march? Find out in Bingo on I17! Celebrate this special anniversary with Bingo Canada and get the party started in the 17 Anniversary Bingo Hunt! Take your chance to win the $2,170 prize by simply depositing $50 during the promotion which runs from the 18th – 28th March and look for the special 1 and 7 patterns playing in the Bingo Cafe, Dollar, Desperate Housewives and Nova rooms! The bingo bonus jackpot is sure to have a lucky winner popping bottles of champagne to party in style, so what are you waiting for? Be sure to join us in the 17 Anniversary Hunt to get in on the celebratory action! We wish you the best of luck! Be sure to look for the NUMBER 1 PATTERN and NUMBER 7 PATTERN and you could be the big winner. Dive in to explore these fascinating and colorful games with over $100,000 in breathtaking cash jackpots in the Lucky Reef bingo and casino contest. Grab your scuba suit and take a plunge, there are hundreds of jackpots to be fished out from the Amigo Bingo Main Room! No deep-sea mystery here, just log-in to play and win your share of over $5,000 in GUARANTEED CASH EVERY week, hit jackpots of up to $10,000 EVERY day, and have the opportunity to win the $1,000 CASH Grand Prize plus over $3,000 in EXTRA Cash and Prizes this month! If Bingo is not your thing they still have you covered. To enter, just play any of the Amigo Bingo famous casino parlay games from March 1st to March 31st. Each week players will take part in a random draw or top 5 ranking for a chance to win prizes and grand prize entries as well. This is not a Mirage! This month South Beach Bingo is bringing the magic of Sin City to you with a Rush Reel to Vegas Slots tournament running for a whole month! To be in with a chance to hit the jackpot, simply join in at any time between the 1st and the 31st of March and deposit a minimum of $1,000 in the promotion time frame. They will award you a point for each $1 wagered on slots games and two points for each dollar wagered on selected games and the winner with the most points at the end of the month will receive a trip to Las Vegas worth $15k! There’s $5,000 for second place, $2,500 for third place and $1,000 for fourth to tenth place! Hit the Strip with South Beach Bingo as they take you to Las Vegas in March! Get caught in the Bingo Hall fortune flurry and win big cash prizes in the Flurries of Cash Bingo Tournament! Don’t get left out in the cold, join in now for a toasty tourney from the 25th -28th February for your chance to win $2,200 cash for first prize, $550 cash for second prize, or $350 cash for third prize! Simply deposit $50 during the tourney and Bingo Hall will award you one point for every $1 wagered on online bingo and one point for every $10 wagered on slots! Play selected slots to receive two points for every $1 wagered! Join in to play for a swirling mass of money in the Flurries of Cash Tournament! Love is in the air and the Love and Friendship Slot Party has started! Get ready to spin and win this February 2019! Canadian Dollar Bingo knows how much you love Slot Tournaments, this is why they won’t be running just 1 tourney… they will have 4 lovely weekly tourneys with DAILY CASH PRIZES to the lucky winners! That’s a total of $4,000 CASH to be won in four weeks! Every participant has great opportunities to win since Canadian Dollar Bingo will offer 2 random draw contests and 2 Top Players contests every week. Check out dates and rankings below. – Get 1 point for every $20 wagered on Parlay Slots. Will you be lucky in love? Find out in the Valentines Day Grand Million Dollar Bingo Party at Bingo Canada. This is where you could be bowled over by more than $2 million worth of prizes waiting to be won! 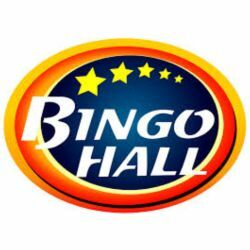 • One hour of speed bingo games with a fixed prize of $5,000 every 5th call! • Pots reaching up to $200,000, plus for the whole event you’ll get 16 CARDS FREE for every 20 bought! • Fireworks Pattern with a fixed prize of $5,000 on all calls every hour! • 2 Speedy Coveralls per hour with $15,000 on the first 50 calls per hour! • 50 BBs per game! Fall in love with some big money prizes in the Valentine’s Day Grand Million Dollar Bingo Party!